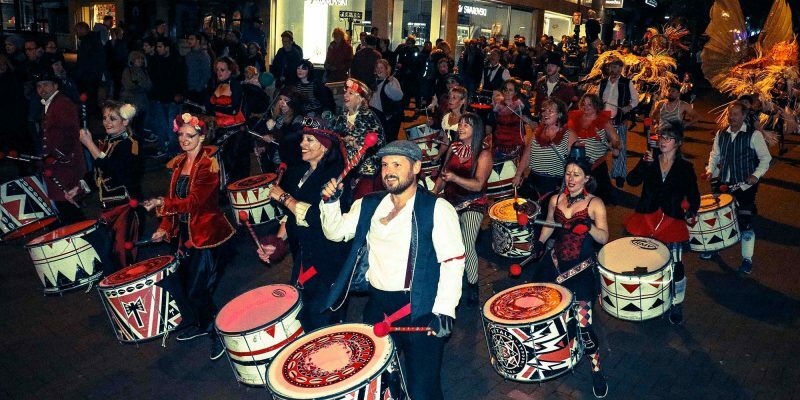 On October 6th 2018, the 8th annual Bournemouth Arts by the Sea Festival saw the night parade Circus Folly take to the streets, helped by 10 young circus performers from Bournemouth University. Nearly 100 performers characterised great and small creatures breaking out of captive confinements to formulate a unique Night Carnival, in which BU students acted as tropical birds. 10 BU students participating in the parade this year are from two different courses, namely Event Management and Event & Leisure Marketing; both are studying Arts Marketing as their final year optional subject lectured by Dr Caroline Jackson; the Senior Principal Academic of Department of Events and Leisure. Why not get involved with the Arts by the sea Festival? 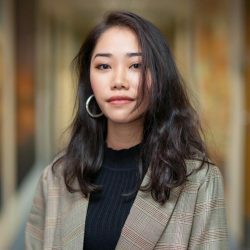 Having led BU students in many festival activities for three years, Dr Caroline Jackson shared: “My students and I are looking at the period of co-creation, so why not get involved with the Arts by the Sea Festival? We have to understand, certainly in terms of Events Management and how we market such an arts event like this, rather than just “Oh it’s great to look at”. I had never thought about this opportunity when I firstly chose this unit. Circus Folly was the closing parade of the Arts by the Sea Festival which was well-known as an inspirational and diverse arts festival, featuring over 100 unique, thought-provoking performances, installations and artistic endeavours taking place in various locations across Bournemouth. 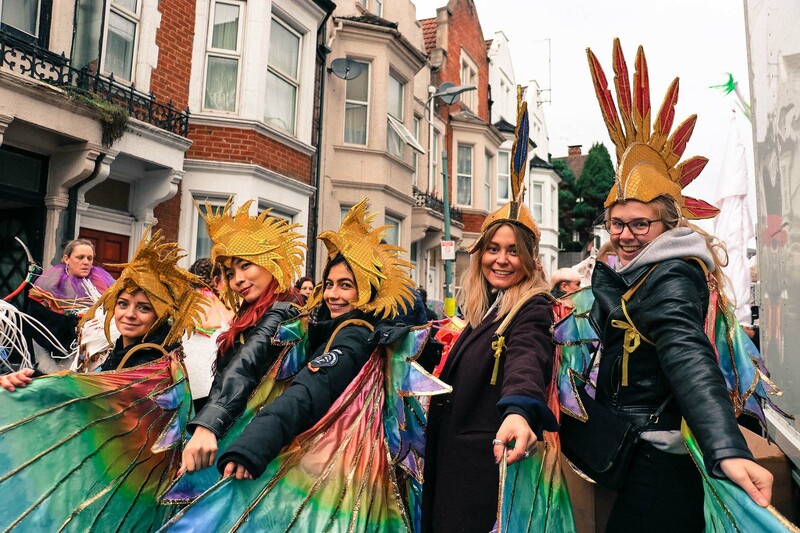 Despite the cold and windy weather, hundreds of Bournemouth residents and visitors still rushed out to the street and even followed the parade from Stafford Road to the ending point; the Triangle. The participation of young students is not only a great way to make contributions to the success of the local event, but it also creates favourable conditions for university students to put the knowledge and skills into practice.